Signature HealthCARE of Trimble County in Kentucky recently celebrated a new achievement in the community’s culture change journey: the second milestone in the Eden Alternative. With the addition of Signature HealthCARE of Trimble County, 18 Signature locations have marked their second Eden Alternative milestone, an impressive feat in the industry. “We are people deeply committed to caring for others, and our commitment to the Eden principles reflects that,” Chris Cox, Signature HealthCARE’s Chief Operating Officer, said. 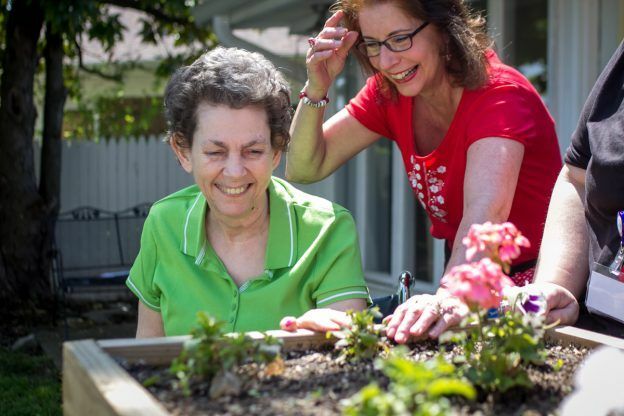 The Eden Alternative Registry, a national list of nursing homes and rehabilitation centers take a different approach to healthcare by embracing person-centered care at each level from staff development to clinical care procedures. The person-directed care philosophy says that each individual’s desires and needs are considered in daily health care decisions. “The second Eden Milestone is not only to embrace culture change and person-centered care, but to live it and exude it,” Angie McAllister, Director of Cultural Transformation at Signature HealthCARE said. Earlier this year, Signature HealthCARE marked its 50th location named to the Eden Alternative Registry and won the international organization’s Eden Champion Award. The Eden Alternative Registry, an international non-profit, works to transform the well-being and daily life of elders who call nursing homes their home. Communities on the Eden Alternative Registry experience less staff turnover, according to data from a survey of 2011-2016 members of the registry.